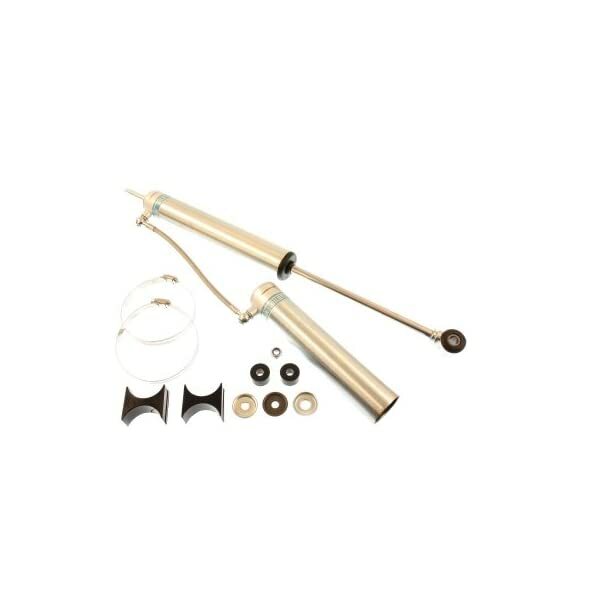 This part replaces Bilstein F4-BR5-H734-H0. 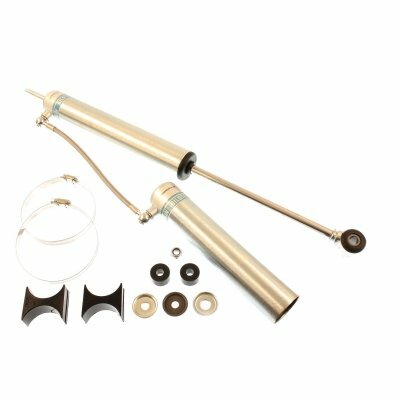 Bilstein 5160 shocks are the easiest way to get a high-performance, remote reservoir shock on your lifted vehicle. This part measures 16.14″ compressed, 27.17″ extended, and has 11.03″ of travel. The gas pressurized monotube design utilizes a remote reservoir to run cooler and allow greater suspension travel than a non-reservoir shock. A 46mm digressive piston with a self-adjusting valve adjusts instantly and automatically to changes in the terrain providing superior handling and performance for all types of driving whether on the street or the trail. Bilstein 5160 series shocks are tuned for each specific application (not a one-size-fits-all shock). Zinc plated finish with Triple-C technology coating. Sold individually with a reservoir, reservoir mounting kit, black bushings (if the application requires them), and installation hardware. Limited lifetime warranty.